“Ḥilkiah’s Palace” is located in the center of the village of Khirbet el-Muraq, c. 12 km west of Hebron, among hills rising c. 500 m above sea level and overlooking the Judean Shephelah to the west. The site was first surveyed in 1875 by the Palestine Exploration Fund, which found caves and two large foundation walls. At the beginning of the British Mandate, it was again surveyed by J. Ory and others. A site list compiled during the Mandatory period mentions the presence on the site of ruined buildings, stepped water cisterns, caves, and a wall with remains of an arch. The 1967 survey of Judea and Samaria uncovered ashlar walls, remains of columns with stylobates, elaborate column bases and drums, a Nabatean capital, a 1.5-m-wide wall (east of the building), and Roman pottery of the first and second centuries CE. 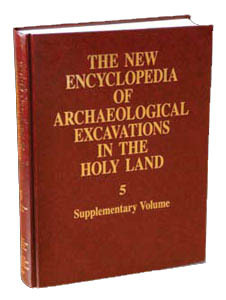 Five seasons of excavations were conducted at the site in 1969, 1977, 1978, 1980, and 1981 on behalf of the Staff Officer for Archaeology in Judea and Samaria, under the direction of E. Damati. The remains of a large and magnificent palace or villa, 42 by 37 m, as well as various architectural details, coins, and other finds, were uncovered. Found beneath the palace was a hewn-out network of rooms. The palace is rectangular in plan and built of rows of rooms around a large peristyle court and an open triclinium, with a gate and atrium on the southwestern side of the structure and a bathhouse on the northern. Scattered remains found throughout the palace area, including a half-barrel vault and other small architectural fragments, suggest that it had a second floor. Its roof sloped sharply toward the interior of the court, helping drain rainwater into large cisterns via a ramified system of channels.